This August long weekend will be the party of the year! Daft Punk is playing in Toronto with Rapture, Sebastian, Kavinsky and Busy P. That is amazing enough but wait, there’s an afterparty put on by A.D/D. @ Mod Club after featuring Busy P, Rapture, Sabastian, Kavinsky, and guys from Kitsune Record Label. The whole eveneing/morning will be bangin. Mod Club 722 College Street W. Doors at 11pm, free before 12am, $10.00 after. 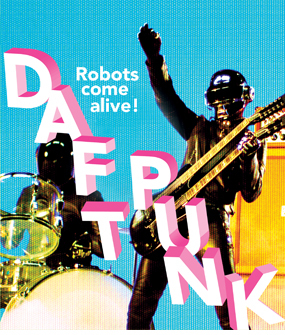 For your listening delight here is set one of Daft Punk Live in Twilo October 16 1998.
mp3 taken from ShotCollin. A blog by Lazaro Casanova who actully was in Toronto @ Social not that long ago and is comming back in September. The whole eveneing/morning will be bangin.